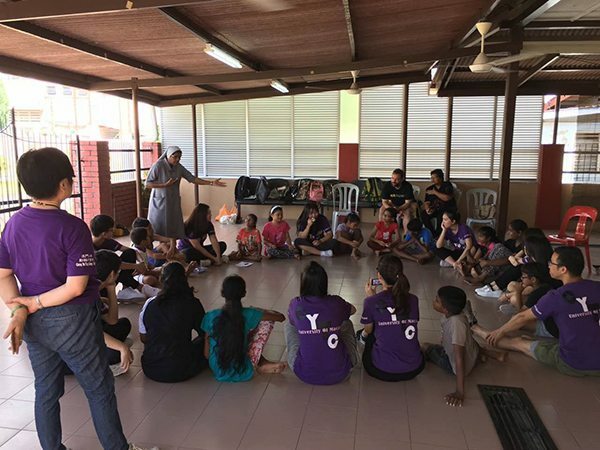 The 2nd CYTC community service in Melaka was successfully held in the Livio Learning Center (LLC) from 26th May to 31th May 2017. 10 CYTC students from different major and background were interviewed and selected to serve as mentors to teach 25 children in the LLC. The LLC was established in 1993 as an alternative to a formal education system. 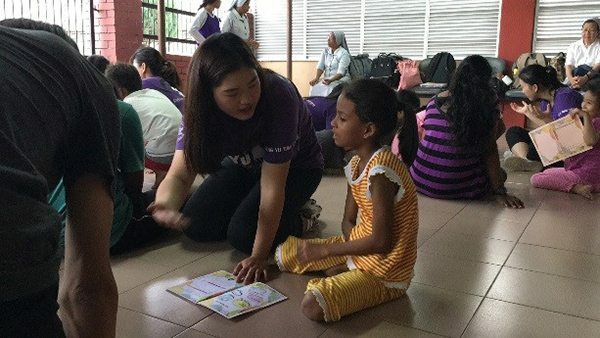 Its students comprise children of kindergarten and primary school age who are from broken homes or who have learning difficulties. CYTC students can learn more about different culture from the country around One Belt One Road through this program. 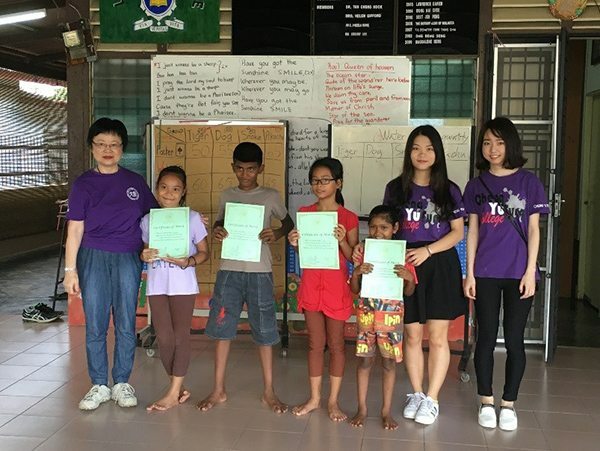 To continue the effectiveness of the teaching game “CYTC Monopoly” developed from the 1st CYTC community service in Melaka. 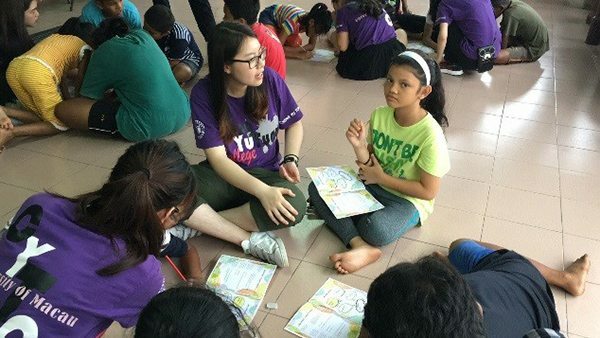 Before the service learning trip, CYTC mentors spent almost 3 months in preparation. 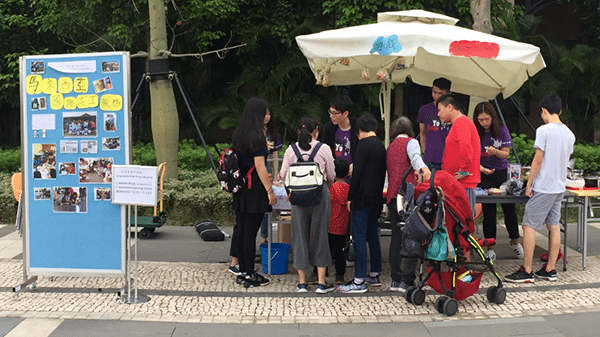 First, they hold a charity bazaar at the open day of University of Macau at 8/4/2017. (Fig. 1) In order to enhance people’s understanding about the students in LLC. The CYTC mentors were required to introduce their goals and thought to LLC students and they sold their DIY products for the service learning trip. 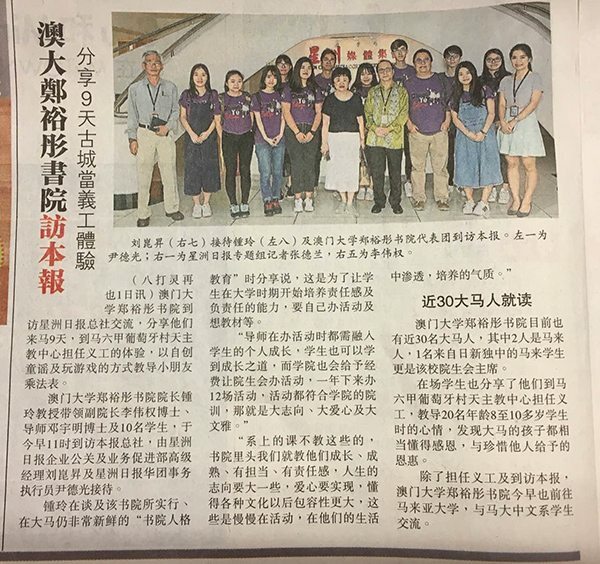 Besides, after the evaluation meeting with the 1st and 2nd CYTC community service group, our students found that the key learning difficulty in mathematics of LLC students was multiplication (since the pronunciation of the multiplication table is complicated in Malay, hardly can the students memorize it.) Therefore, the group targeted on helping LLC students to remember the English multiplication table in a fun way. Fig.4. Champion certificates delivered by Master Chung for the winning LLC team. At the end of the program, Master Chung was invited to deliver certificates for the Champion of the games and participation (Fig. 4), which rewarded for the LLC students. This program was end with a warm sharing section (Fig.5.). 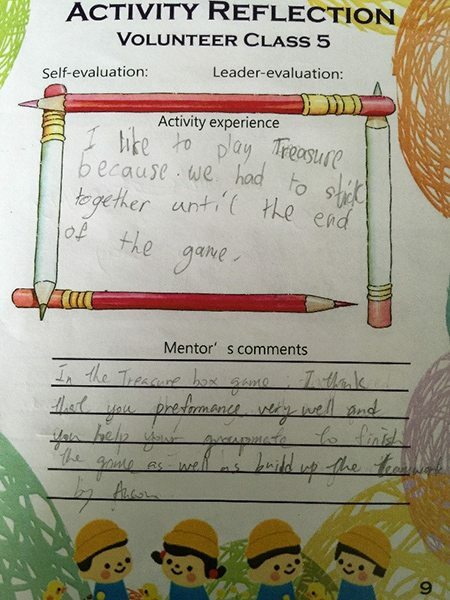 Though our mentors and LLC students were shy to express their feeling at first, most of them then gave us valuable comments whether it was on the improvement of the program or on their feeling. 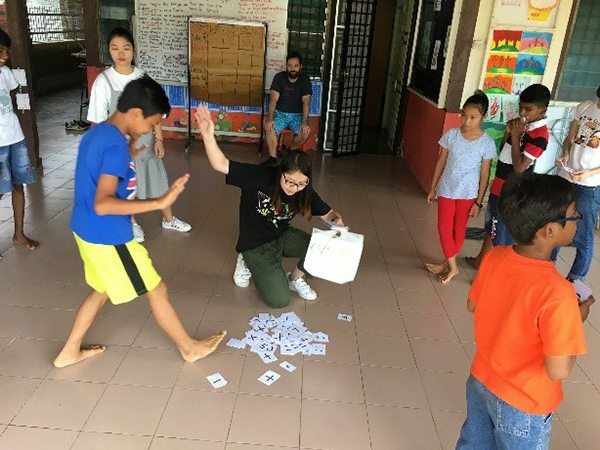 The representative of the Livio Center – Sister Retta said that this program gave LLC students a new angle to study and learn which can be a fun and happy process rather than just memorize things by reading books. 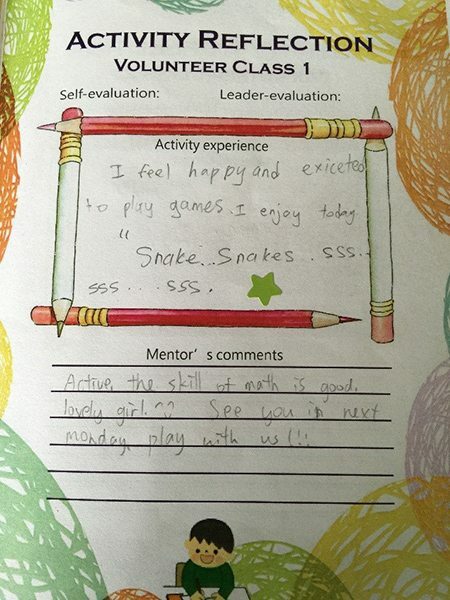 Most of the LLC students reflected that the activities were funny and exciting. 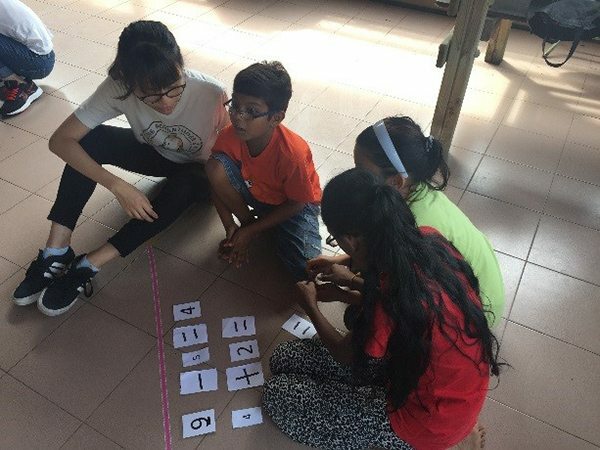 Through the activities, LLC students not only learned the basic skills of multiplication, but also learned the spirit of helping each other which was the seed of Teamwork and Love of Humanity. The tutoring classes started at 10:00 a.m. and ended at 5:00 p.m. every day during the program. Then we took a short break and had our dinner until 8:00 p.m. and we started evaluating the tutorials held that day as well as the tutorial materials next day till 12:30 a.m. Although the tasks were really difficult for us, once we saw the innocent smiling face of LLC students during the classes, we knew that our effort was worthy. Fig.5. Champion certificates delivered by Master Chung for the winning LLC team.